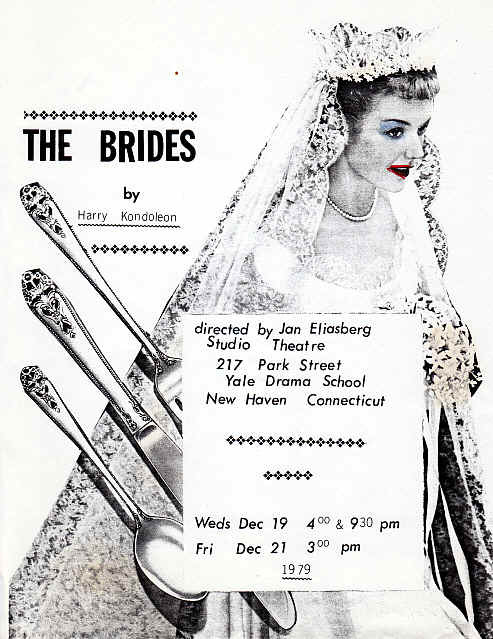 THE BRIDES was first performed in a student production at Yale Drama School December 19 and 21, 1979. It was directed by Jan Eliasberg. 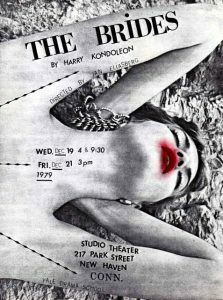 The play was first produced professionally at the Lenox Arts Center in Massachusetts by the Music-Theater Performing Group (Lyn Austin and Margo Lion, producers), on July 23, 1980, with the following cast: Susan Blommaert, Sheila Dabney, Caitlin O’Heaney, and Pamela Reed. It was directed by the author with music by Hal McKusick and costumes by Rita Ryack. 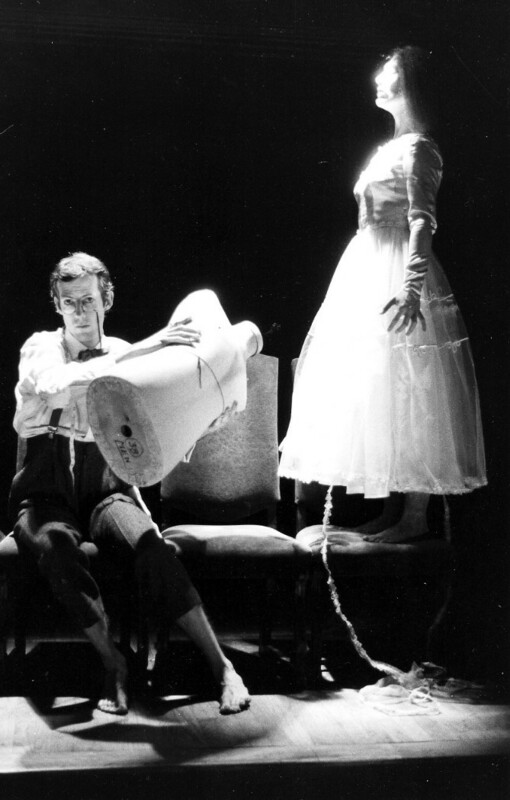 THE BRIDES was subsequently seen at the Cubiculo Theater in New York City on April 22, 1981, under the title “Disrobing the Bride.” It was directed by the author with Patricia Benoit, music composed by Gary Fagin, scenery and lighting by Loren Sherman, costumes by Ann Emonts, and performed by Ellen Greene, Caroline Kava, and Mary Beth Lerner. 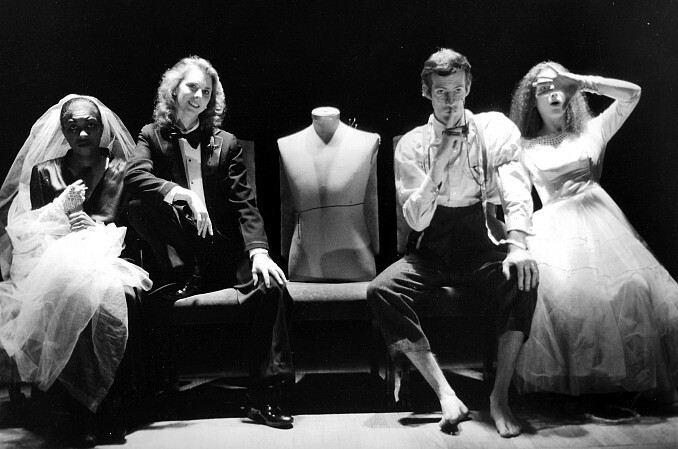 In Wordplays 2: New American Drama, Performing Arts Journal Publications, New York, 1982. 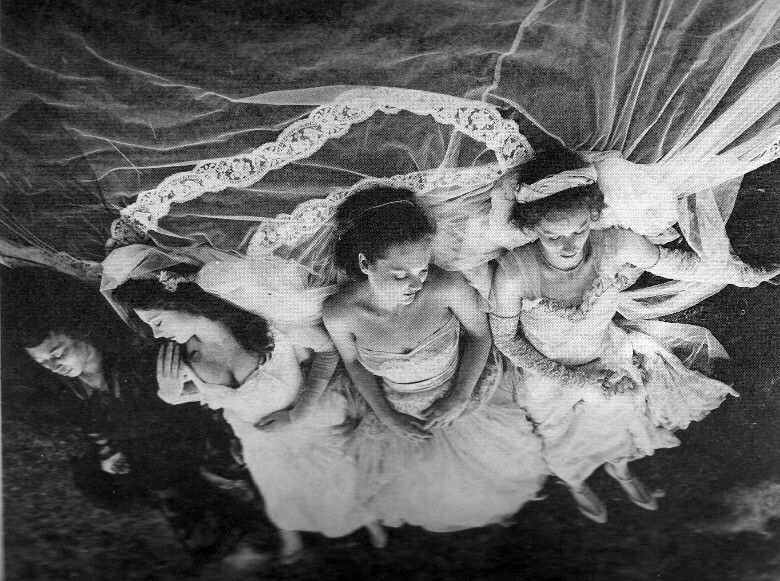 To see the full text of the play, click here. 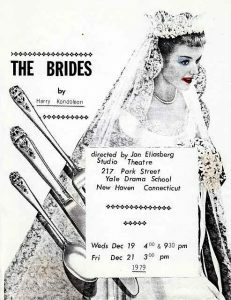 I’m producing, acting and directing The Brides for my senior project in partial completion of my theatre major at Hamilton College fo Clinton, New York, where Harry went as an undergrad. If anyone has any information about this piece, as there isn’t a lot written, please contact me at vlfhaller@gmail.com. thanks! Steve Eldredge and I went to see Brides during its run at the Cubiculo, and as we chatted with our former classmate at Hamilton-Kirkland College and the playwright, in the lobby pre-show, Harry’s head suddenly swivelled around, and he said: “Is that Bella Abzug, come to see my little play?” Indeed, when we looked in the same direction, there she was, big hat and all…and then he was off, to press flesh with the “almost mayor” of NYC.